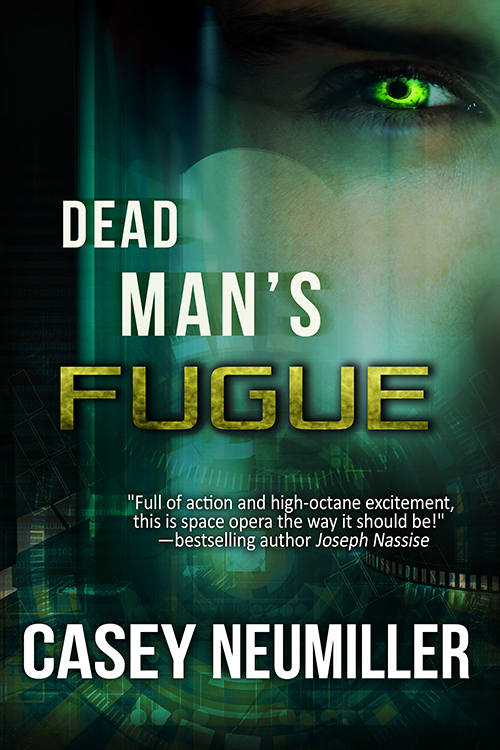 Yes, that’s the cover for Dead Man’s Fugue, the final title for the project I wrote under the working title Dead Man Walking. I know, I’m so creative when it comes to titles, aren’t I? I finally finished my edits of Dead Man’s Fugue today, and now my mentor is in the process of editing it. (He’s been at it longer than just today.) As soon as he’s finished, either Friday or Saturday, I’ll make a final read-through to ensure everything sounds good to my ear, and it’s on to publication. My aim for quite some time has been to have the book available the first week in September. Depending on timing, it may be pushed back a week or two, but I’m trying hard to stay on target with this. A month ago, I would have called my deadline easy to meet. Unfortunately, between then and now, I had my appendix removed, which screwed me up for several weeks and set me far back on the project. So I’m in a bit of a rush mode right now, but pushing myself harder, even if I miss my preferred deadline, always ensures a more timely completion. 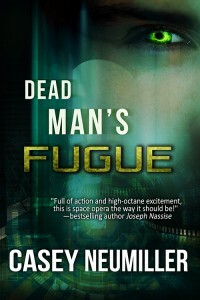 Dead Man’s Fugue will be available as both ebook and paperback. Pricing isn’t available yet, but the book will be available primarily on Amazon (as well as Barnes & Noble and Kobo). I don’t often touch on the personal here, but my wife and I are expecting in December. As such, I have a lot of handyman work to do around here–the biggest being an expansion to finish, but also a nursery to build. A big stack of the material I needed for the expansion actually arrived the week before I found myself in the ER. Recovery has been slow, but I’m finally reaching a point physically where I can get to work. I’m also outlining the sequel to Dead Man’s Fugue. Given my tendency to change titles, don’t count on this one sticking: Skiptracer’s Contract. Rake will be back! Also on my agenda is the release of Destiny’s Heir. Yes, it’s going to be coming out–as an ebook and paperback. I’m intending on a first-week-of-December release (along with Skiptracer’s Contract), to coincide with both Christmas and the release of the next Hobbit movie. There’s plenty to be excited for before the year ends! Mate, afraid I haven’t been around for a bit due to life….and stuff. Just happened to grab a quick look and must admit, ecstatic to see this post! Well done, I’ll definitely be making time to read through it. Hope all is well.